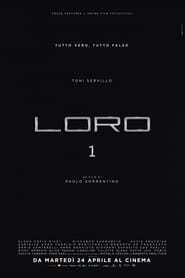 After making ‘The Young Pope’ (one of the best series of last year), Paolo Sorrentino returns to the cinema with ‘Loro’, a biopic of Silvio Berlusconi. Today we can take a look at the film thanks to a first trailer that recalls the tone of ‘La gran belleza’ (winner of the Oscar for best non-English speaking film) while advancing the psychological portrait of the Italian businessman and politician. This brief teaser, of barely 30 seconds, plays with the intrigue of the characterization of Berlusconi, whom Toni Servillo plays; the actor is a regular contributor to Sorrentino, in addition to starring in ‘The great beauty’, Servillo worked with the director in ‘A man of more’, ‘The consequences of love’ and ‘Il Divo’. It should be noted that ‘Parrot’ will be divided into two parts and will hit theaters in the coming months.